Being a great artist makes you a winner. But the 2017 honorees of the New Mexico Governor’s Awards for Excellence in the Arts prove that being a great person makes it matter. 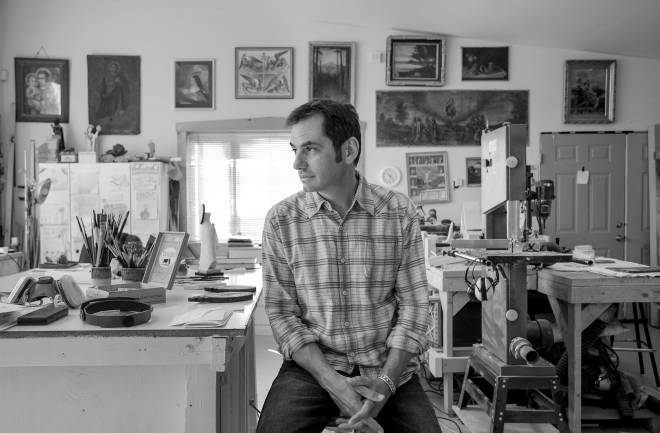 Rooted in the art, culture, history, and landscape of Taos, Gustavo Victor Goler was almost fated to become a premier santero. Surrounded by his family’s art-conservation studios, he learned wood-carving skills and the intricately detailed iconography of Catholic saints from his boyhood forward. Since his first appearance at Traditional Spanish Market in 1988, he has brought home 24 awards, including a 2016 lifetime achievement honor. Perhaps more important, he shares his knowledge with up-and-coming artists, ensuring that the heritage he reveres continues. His own conservation work led to preservation of the 259 santos and bultos in the Larry Frank Collection, now on long-term view at the Palace of the Governors in Santa Fe. Goler also helped restore the 18th-century altar screen in La Iglesia de Santa Cruz de la Cañada, near Española, and has created original pieces that are prized by museums and churches all around the world. Sanchez learned his craft from legendary potters like Rose Gonzales and Tony Da. At 14, he entered his first works at the Santa Fe Indian Market, and he has won awards at the event ever since. These days, he morphs familiar pottery shapes into elegant vessels decorated with turquoise and etchings so innovative that admirers consider him a modernist potter—with centuries-old know-how. How much music can a fiddle and an accordion produce? Plenty, if the players are Kenneth Keppeler and Jeanie McLerie, the beloved Silver City institution known as Bayou Seco. 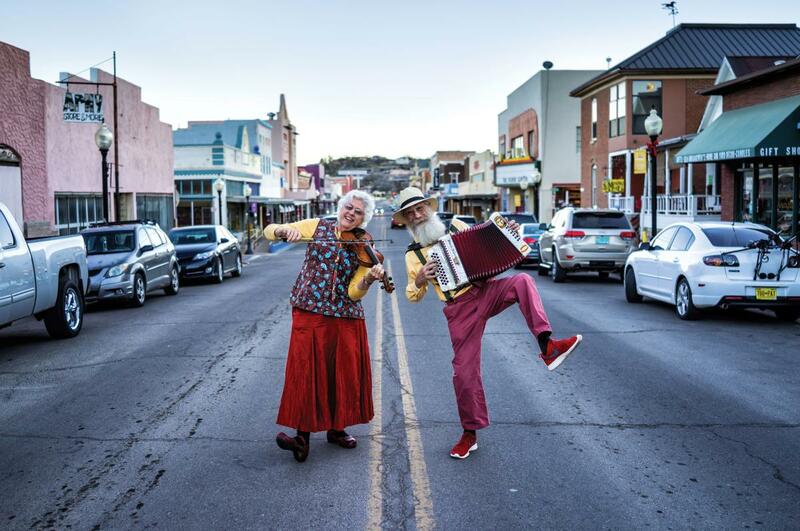 In the style of the wandering Lomax Brothers, they spent decades combing New Mexico for under-appreciated musicians, folk songs, and regional dances. They learned, they taught. They recorded, they performed. They engaged elementary school students and international audiences. They put their Appalachian and Cajun twists on Southwestern tunes to create a new genre they call Chile Gumbo and, in doing so, brought new admirers to collaborators like Cipriano Vigil and Antonia Apodaca. Since the 1980s, they’ve amassed a body of work that NMSU English professor and fiddler Rus Bradburd reckons would have died without them. From an adobe house with no running water, in the northern New Mexico village of Vadito, Helen R. Lucero became the first person in her family to graduate from college. She didn’t stop there, going on to earn a master’s and a doctorate, as well as national fame as a curator, advocate, and educator. In recognizing her as a major contributor to the arts, the Governor’s Award singled out her deep knowledge of Hispanic New Mexican arts and artists and her passion for sharing that wealth with others. Her curatorial work has graced the National Hispanic Cultural Center, the Smithsonian American Art Museum, and the Museum of International Folk Art. Throughout her career, she has championed Latina artists and employed a tough-love approach to help other curators divine the depths and nuances of Hispanic culture. Her 1999 book Chimayó Weaving: The Transformation of a Tradition (UNM Press) helped secure the artistic cred of New Mexico’s time-honored craft. And she did all this while painting her own pastel landscapes and beating back cancer four times over. “Helen has opened so many doors, not just for herself, but for subsequent generations hoping to contribute something substantial to the world of ideas,” says Albuquerque Museum curator Andrew Connors. Diné photographer Will Wilson minces no words. “I am impatient with the way that American culture remains enamored of one particular moment in a photographic exchange between Euro-American and aboriginal American societies: the decades from 1907 to 1930 when Edward S. Curtis produced his magisterial opus, The North American Indian. For many people even today, Native people remain frozen in time in Curtis photos.” Wilson set out to update that point of view by reclaiming a Curtis-era medium. His collodion tintypes rely on aluminum plates, dangerous chemicals, and a 140-year-old lens. In front of that lens, he shapes his subjects to reveal not a romanticized past but fully owned representations of themselves. Read about two other recipients of the Governor’s Award, author William deBuys and the Roswell Artist-in-Residence program.